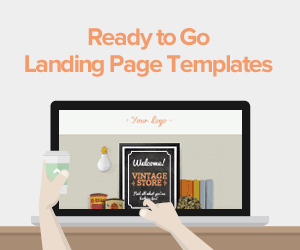 A landing page exists for only one purpose – to get some action. It can be a product description page that leads directly to a shopping cart and checkout; it can be an email opt-in page to generate leads for more communication; it can be a discount, an e-guide to download, or some other item of value offered in return for an email address. Obviously, landing pages are separate from other website pages, and a visitor clicks directly to that page either from a place on your site or from an outside post/source. When a visitor clicks on a link to that adding page, s/he expects to get exactly what was promised and nothing more. There are a lot of things that can wrong in the design aspects of a landing page, and those mistakes can cause potential customers to bounce pretty quickly. Obviously, as you design your landing pages, and you may have several going at a time, you need to avoid these eight errors. Obviously, if someone has come to a product description page by choice, you will highlight features of that product or service. On the other hand, you must also strongly focus on the benefits and value of that product or service. You want the customer to see how it solves a problem she/he is having. But beyond that product or service, nothing else should appear on that page about you, your company, any other products or services, or links to anything but an add to shopping cart and/or checkout button. If you are struggling with how to frame the benefits or values, then ask current customers to describe what they see as this biggest value of your product and service. This is a type of “content crowdsourcing” that can help you focus on benefits rather than features. This applies especially to landing pages that are describing services. If you are offering a free trial of a project management software, your potential customer just wants to know what it will do for him/her. They want the free trial so they can try it out. Keep language simple and certainly not technical. Any designer or marketer who is using a good content strategy understands that simple is always best. Steve Jobs understood this concept. Whenever he introduced a new product, he simplified the benefits. The iPod? It was “1,000 songs in your pocket.” He spent no time on the technical features – he focused on the benefits. 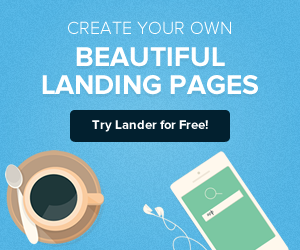 Often, people come to landing pages, just to see if there is a real value as promised and if they think that value is worth either they're giving up an email address or shelling out some money. Sometimes, an engaging and compelling headline can provide an appeal that would otherwise not be there. Consider your headline the second chance you have to get that conversion. 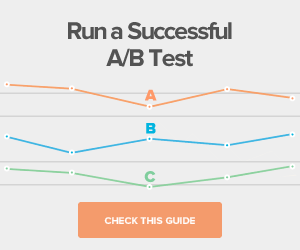 You can also split test headlines quite easily and find those that work better. Remember, people come to a landing page for only one reason. To fill that page with anything not relevant to the benefit, value or product/service to purchase is to distract the visitor. You want your visitor totally focused on the action to be taken. The exceptions to this are very few: you may want to offer a guarantee if something is being purchased; you may need to add some social proof – seals that prove your security and membership in reputable associations (e.g., BBB); and you may want to add a testimonial if it is a real individual with a full name or a company spokesperson. You do not need to add social proof if your value is a download or similar thing – you can actually ad the social proof in the download itself. Never give the visitor options. From a psychological standpoint, this can be confusing, and when a decision has to be made between two options, the third option, doing nothing, is often taken. Point out the option very clearly and have a prominent opt-in form with a large submit button. 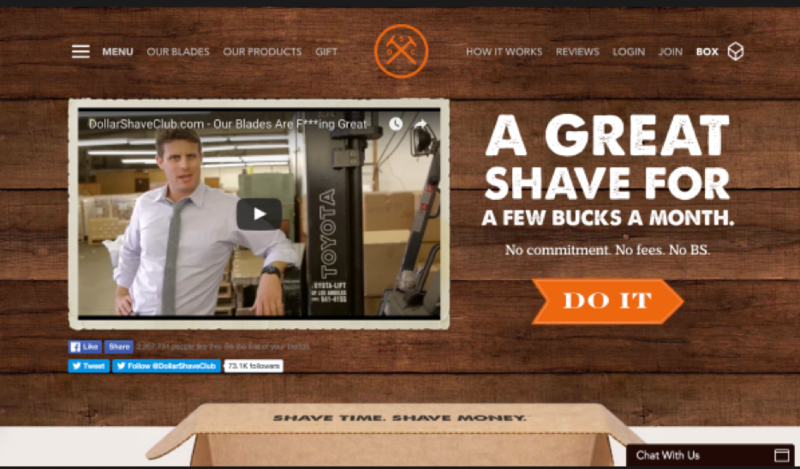 CTA buttons must be one of the most prominent elements of a landing page. They should be surrounded by white space to stand out, and should be a contrasting color from the background and other items on the page. You do not want the visitor/customer to ever misunderstand what s/he is doing and/or getting. Putting it right on the button or at least just above or below it will reinforce what the visitor is supposed to do. 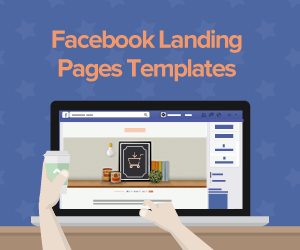 An amazing number of landing pages do not include this – it can be below the fold, of course, but having a phone number, an email address and even a live chat feature instill trust. And, a visitor might have a question. If there is no way to get that question answered, they will likely bounce and the lead or sale is lost. There are several design elements at work here. Color: You will generally have three colors on a landing page – the background, the ascent, and the CTA button. The palette you choose is important for both the product/service you offer and for the psychological impact it has. Do some research if you are not familiar with the psychology of color. Keeping your color scheme tied to the scheme of your website is always a good idea – it provides consistent and “comfort” for the visitor. Typography: For a landing page, clear and crisp is the rule. Don’t try to use fancy scripts or block lettering that is hard to read. The visitor’s focus should be on the action to be taken not on deciphering text. Visuals: Do not use stock photos or silly clip art. A visual is appealing, of course, but keep it minimal and relevant to the offer. Looking at the 8 mistakes that can be made, evaluate this page for yourself. What have they done right? What do you think could be improved? Let us know your opinion the comment section! 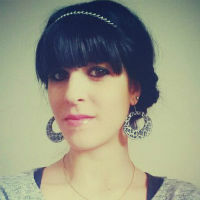 Luisa Brenton is a freelance writer. She had been working in the international company as a brand developer for 4 years. Now she is not working because of her little daughter. But for these years in the ads department she gained so much experience that she wants to share it with others. First Time at Writing Landing Page Copy? We have Got You Covered!